New businesses keep coming to Pioneer Square. They choose our neighborhood because of what you– all who work and live here right now–have put in place. 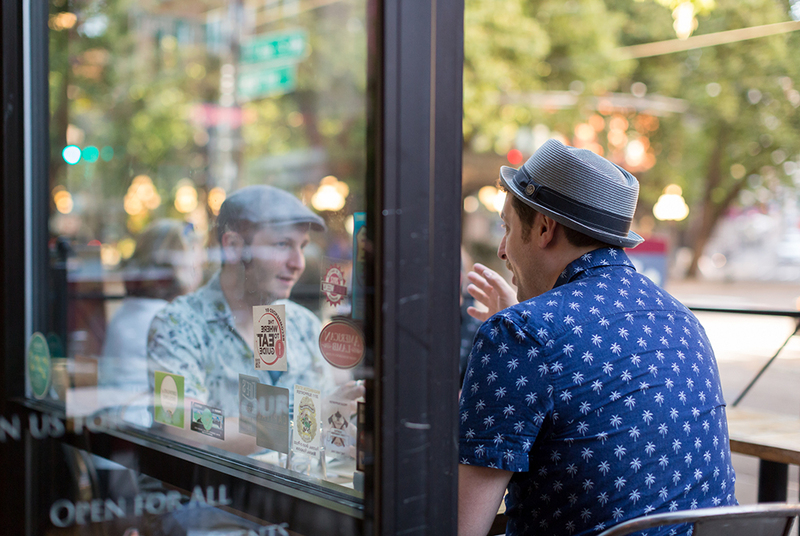 They’re eager to work with you and make their own contributions to the Pioneer Square story. And like you, they believe future opportunities outweigh the headaches of our current construction challenges. 13 Coins –This 24-hour Seattle institution is now open at the base of the new Embassy Suites hotel at 255 S King. Browne Family Vineyards Tasting Room – The space is lovely and the wine is amazing. 411 1st Ave S.
A special welcome to our new corporate neighbors at Avalara and Saltchuk. We’re delighted you’re here. Embassy Suites by Hilton Seattle Downtown Pioneer Square – 255 S King St. Very soon. General Porpoise Coffee & Doughnuts – 411 1st Ave S. We’ll be enjoying doughnuts before the end of the month. The 101 –101 S Jackson. A new gallery and event space opening this summer. Counter Culture Coffee Training Center – 319 1st Ave S. They plan to open before the end of the month and are planning a neighborhood event. Stay tuned. Even Stevens – 211 1st Ave S. We don’t have many details yet. We do know the lease was signed and plans are underway. RPM Pizza – 2nd Ave S & S Main, between Manu’s Tacos and Elm Coffee. They’ll be reopening soon. (Hooray!) Stay tuned. Evergreens – 104 1st Ave S. They’re building out now and plan to be selling their amazing salads this summer. Dollop Coffee Co. – Pioneer Building. Stay tuned for more details. Canton Lofts – 123 Third Ave S. Spectrum Development Solutions received their certificate of approval to build apartments from the Pioneer Square Historic Preservation Board last month. 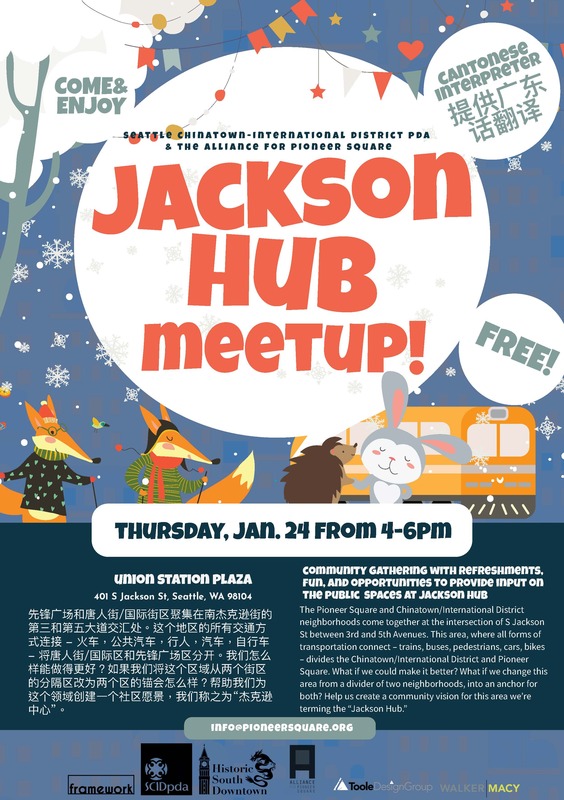 This is great news for the neighborhood. Stay tuned. Lady Yum – 116 S Washington. The buildout is underway and will be a fabulous addition to the beautiful alley resurfacing. We’ll keep you posted on progress. citizenM – The new hotel concept is looking to build on what’s now the surface parking lot at Yesler Way & Western. Best Western Pioneer Square is building an annex/addition, just south of their current property. It’s easy to be excited about who’s new and who’s coming to Pioneer Square. Please stop by and introduce yourself soon. It’s also easy to be excited about our existing businesses. Their fierce commitment to the future of our neighborhood is inspiring. They’re going the extra mile and delivering their very best to customers and clients during these crazy times of construction. 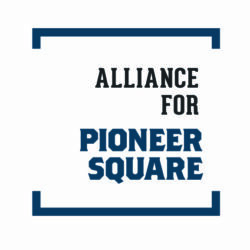 In return, now is the time for all of us to recognize and support the businesses who make Pioneer Square the neighborhood we love. For example, let’s look at a particularly hard-hit block. Have you noticed the scaffolding on buildings on the west side of 1st Ave S between Yesler and S Washington? On that block are neighborhood favorites: The Sovereign, Turabi Rug Gallery, Rudy’s Barbershop, Taco del Mar, Kigo Kitchen, Delicatus, and Caffe D’arte. 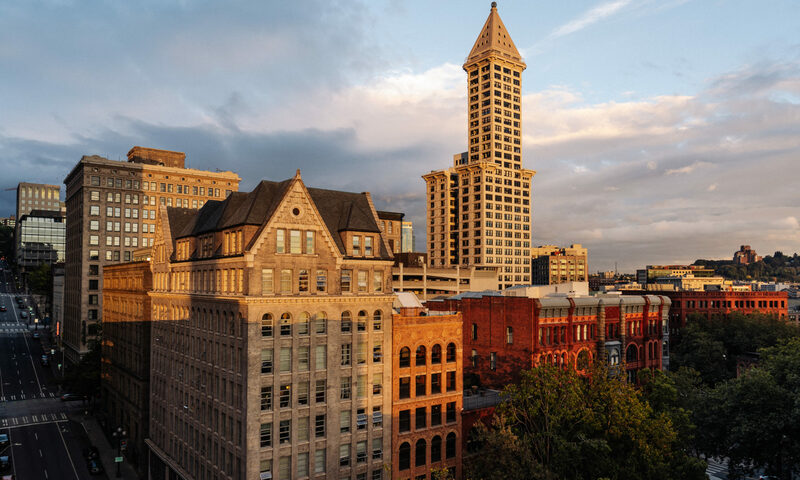 Venture down Yesler to find: Café Paloma, Fresh Tangerine’s new retail space, and the spaces in the Best Western Pioneer Square: Fenix Tattoo, Millheads Barbershop, Julie’s Garden, and the Pioneer Square Saloon. And in back of the Best Western Pioneer Square, an addition is under construction. Walking west toward the water on S Washington, you’ll find neighborhood gems: Sake Nomi and Planet Java Diner. Come on – what’s a little dust and noise? Step out and show them a little love. We’re eager to help you spread the word about what your business is doing these days. 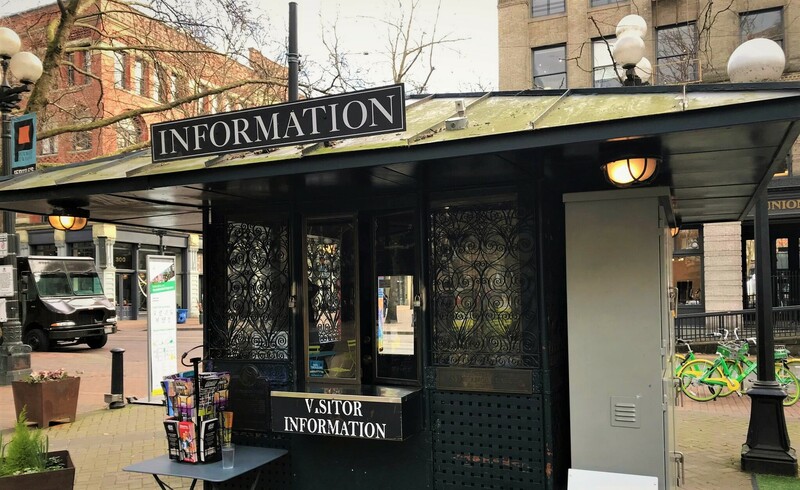 Be sure to post your events on the Pioneer Square calendar (here’s the link) and be sure to tag us on your social media. @PioneerSquare. We can’t promote events if we don’t know about them. And please let us know if you’re trying something new or making changes. We want to hear about it. Thanks for all you do to make this such an extraordinary place every day.